Consumer Village Review - Legit or Scam? Hey everyone! I hope your week has been well so far. Well here’s the update I’ve promised that I would post. I apologize (again) that it took so long to get this up here. 🙁 Well today I’ll be giving an overview of Consumer Village. This paid survey site is rather different, and I will explain why, and more in this review. This is one of my top favorite survey panel and the unique thing about this panel is once you are invited for a survey, you do not disqualify. National Consumer Panel Review and Sign Up Link – Is NCP Online Panel Legit or Scam? Consumer Village is a online survey community owned by Gongos Research, a very well known market research company. They help big named companies with decisions regarding the future of new product , or service ideas, just like any paid survey websites. And just like any paid survey panel they rely on everyday consumers like you and me. Joining this panel is completely free and very simple to do. Once you’ve become a full member you’re taken to the member’s area, where you must complete the profiler’s survey. This is so that they can send you surveys that you’re interested in. Once you complete the profiles you’re soon sent survey invitations. The surveys are quite simple, and even fun to do. They don’t take too long to complete, mostly 5 to 10 minutes. In addition to surveys, Consumer Village also sends focus group surveys which takes a bit longer to complete than normal surveys, but you’re rewarded more so for your time. When you complete a survey you’re rewarded tokens which are equivalent to reward points other sites pay you with. When you earn enough you can redeem it for amazon gift vouchers. Also sometimes when you complete a survey, you’re rewarded with entries to contests, and sweepstakes to win neat prizes. The minimum payout is 500 tokens which is $5. 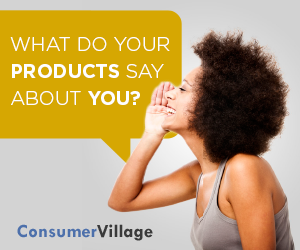 Unlike many sites, Consumer Village is not just a survey panel but it’s also a discussion forum. There you can communicate with other everyday consumers like you about different topics, like new trends, new products- new anything, and much more! Another thing that makes this paid survey site so different from the others is that your opinions does more than just determining the future of new products. When you complete surveys on Consumer Village, you’re also giving back to the community, helping those in need. While Consumer Village is a legitimate website, and has a lot of pros, like any paid surveys sites they do have their drawbacks. In this case, you’re not sent as many surveys as other panels- a couple per week, sometimes a few per month. Overall I believe Consumer Village is well worth checking out and I highly recommend to join this panel. when I click on click here to join consumer village Penal it shows blank page. It is because this panel is only available for US residents. If you are not from US, you will see a blank page. I still do not how this works? It is simple and 3 steps process.